If you're looking for foods high in vitamin E, a potent, fat-soluble antioxidant, you've come to the right place. Incorporating foods high in this important nutrient into daily living is easy, especially when adequate levels are available in a wide variety of grocery items. Keep the following list handy during your next supermarket trip and you will see how simple it is to select foods rich in vitamin E.
While a healthy, balanced diet should provide enough vitamin E, extra supplementation may occasionally necessary. This can easily be obtained through foods that contain high levels of this important vitamin. Speak to your physician if you have questions about your vitamin E intake. Add a few of the following items to your daily food intake and rest assured you are getting sufficient amounts of this incredible antioxidant. Nuts are particularly high in vitamin E, and contain more than fruits, vegetables and whole grains. 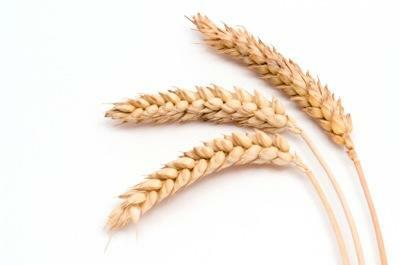 When refined grains, such as cereals, are processed, the vitamin E content decreases. For this reason, most cereal is fortified with vitamin E after processing takes place. Cereal is one of the major sources of vitamin E in the average diet, with the following cereal brands containing the highest amounts. While a mild vitamin E deficiency may be difficult to detect, a severe vitamin E deficiency may be difficult to ignore. If you are suffering from a disease of the liver, gall bladder, pancreas or intestines, this can result in a mild vitamin E deficiency. As well, if you eat a low-quality diet that is high in processed foods, this is also opening the door to potential vitamin E deficiency. If you believe you're deficient in this essential nutrient you should visit your doctor to have a blood test. A blood test is the only conclusive way to measure your vitamin E levels, and your doctor is the only one who can order this test. Eating a healthy, balanced diet is a great way to make sure you're getting all the nutrients you need to stay healthy. Vitamin E is just one of the many vitamins you need every day to stay on top of your game.